Built with the highest-quality standards to increase longevity and reduce maintenance and service calls, HiPower’s portable natural gas generators are in demand for urban operations and industrial sites. Natural gas engines are preferred, and often mandated, in many urban environments. HIPOWER SYSTEMS’ rigorously tested and calibrated portable natural gas generators meet or exceed all applicable codes in urban settings. When installed in tandem with existing pipelines, they offer greater fuel availability in all conditions and enable efficient, clean fuel delivery, eliminating the need for delivery tankers and large storage tanks. For industrial sites that are or may soon be under regulatory scrutiny, using HIPOWER SYSTEMS’ energy efficient, sound attenuated, totally enclosed and bounded portable generators gives operators a decided advantage in meeting safety and operating regulations. These award-winning gensets also help to maximize investment, as they can be trailered, trucked, hoisted or winched to multiple locations as power needs arise. Beyond the quality of its products, HIPOWER SYSTEMS has developed advanced processes and enhanced programs to help owners ensure their equipment is safe, properly maintained and as user-friendly as possible. These services include comprehensive training programs and maintenance services, including an option to have a dedicated support team fly onsite to troubleshoot and resolve problems. To learn more about the features and characteristics of our natural gas generators, we invite you to visit the individual product pages below. HIPOWER HW400A SEMI-AUTOMATIC WELDING with ability to perform semi-automatic welding such as MIG, MAG, SS. 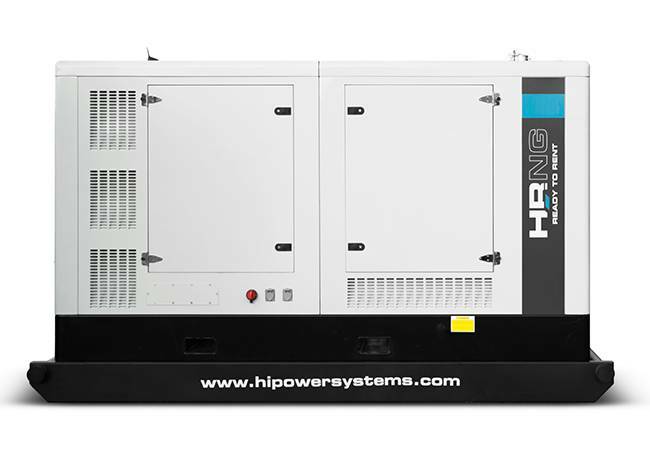 HIPOWER SYSTEMS present high efficiency welding generators that operate with low noise and are versatile, durable, compact, and environmentally friendly. -Operation in eco mode reduces engine emissions, extends engine life, consumes 30% less fuel, produces 10% less noise and is still capable of 220 amp output! HIPOWER SYSTEMS understands the reliable, cost-effective power-generation solutions your projects require and the demanding conditions of your field locations. In short, they understand you. Founded in 1982 as HIMOINSA®, HiPower set out to offer power generation solutions capable of satisfying continuous, clean, and efficient energy supply needs for customers in southeast Spain and the surrounding area. By providing world-class products that deliver the best experience possible to customers, they expanded their presence to more than 100 countries across five continents. Today, as U.S. based HIPOWER SYSTEMS, they are the principal supplier of power distribution and prime, standalone power generation equipment and packages to the U.S. and Canadian markets. They work non-stop to ensure end-users reap the most possible benefit from their equipment and expertise. They serve Residential, Commercial, and Industrial sectors. Or, rather, they would like the opportunity to serve you. Check out their generators and power generation packages detailed herein. You will be glad that you did.